SmartLinks are normal URL that hides an intelligence behind. As a regular URL you can copy & paste it wherever you want: your web site, an external web site, social networks and so on. In this case when the user clicks the link, he/she is redirected to the content item URL (the URL depends on the used content provider). 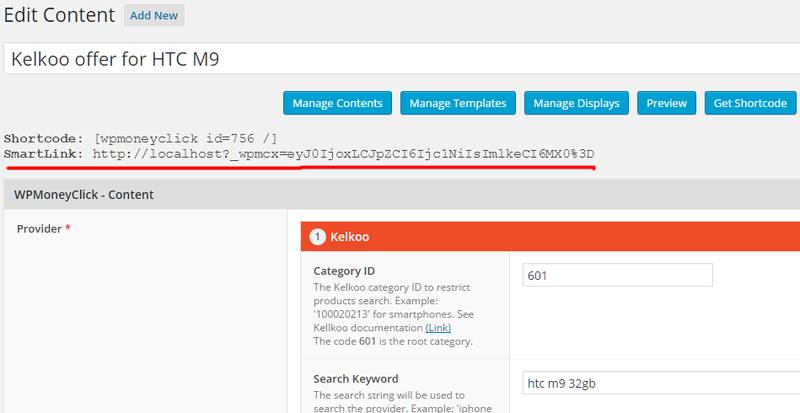 In the example above, when the user clicks the smartlink, he/she will be redirect directly to the Kelkoo offer. A redirection SmartLink is associated to an arbitrary target URl that you decide (that can be changed at any time). As you see, the target URL can be changed at any time. The ‘smart’ part is that you can specify a list of flexible and powerful redirection rules, to change final target URL based on user context, device type, custom paramteres, HTTP referrers, etc. Here below a list of available redirection rules. When the smartlink is expired an alternative URL is used to redirect the user. 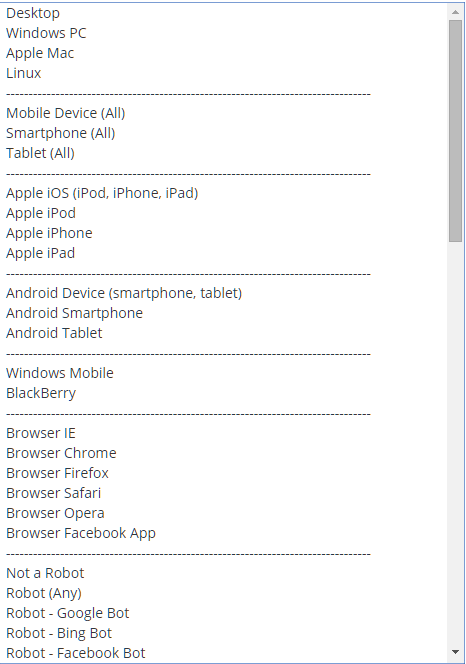 You can detect the client device type and decide, accordingly, where the user must be redirected. Users can be redirected based on the browser language settings. You can use HTTP referres to redirect users based on from where they are coming from. User can be redirected based on some URL paramter value. You can use client IP address for user redirection. Both IP V4 and IP V6 are supported.